What About our Mother Tongue? – Royal Times of Nigeria. What About our Mother Tongue? Most Nigerians will never need to speak English to thrive within their environment, yet it remains the dominant language at all levels of Nigerian education. As of 2016, Nigeria’s rural population was just a few over half the total population, valued at around ninety-five point six million. Where there are schools in the villages, children are taught to speak English, although it is rarely found within their direct environment. As a matter of fact, English is mostly dominant in middle- and upper-class African homes and in urban and suburban areas. Furthermore, coming from an entirely different socio-linguistic background than English, children are slower to learn English from their teachers at school, most of who struggled to learn it as well. What results from this is a never-ending cycle in which an unnecessary language is passed on from one generation of Nigerians to another, neither of which truly understand or need the language imposed on them. The power of teaching in one’s local tongue cannot be overstated. Emphasizing English at the expense of traditional languages was a British colonial policy designed to pass on its values and standards to the incoming African elite. Language imperialism is a colonial structure designed to promote the needs of thieves; we must break free. However, the British are not solely responsible for the exclusion of indigenous languages from education. Placing the emphasis on English was also a misguided attempt by the newly independent Nigerian government to de-emphasize ethnicity and build up a sense of nationhood. Tola Adenle summarised this aptly when she stated that “in a people’s language lies more than a tool of communication. Beyond stereotyping can be seen the ethos of a cultural group.” Indeed, language is a marker of culture and failure to make it a dominant feature of the Nigerian curriculum is working to let our culture die. Luckily, the Lagos State Government has begun to tackle the issue. 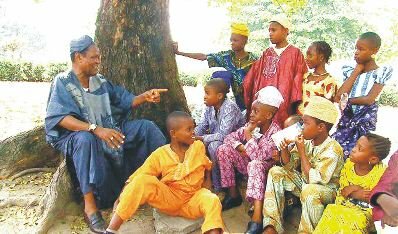 In February 2018, the Yoruba Language Preservation Law was put into effect, stating that any school in Lagos that fails to include Yoruba in its curriculum faces a five hundred thousand naira fine and risks closure. There are about five hundred and nineteen living languages in Nigeria as of today. Seven languages have already gone extinct. It is our duty to teach our children to write, read, and revere their mother tongue. May God Bless our beloved Country, Nigeria. Who Failed the Nigerian State?